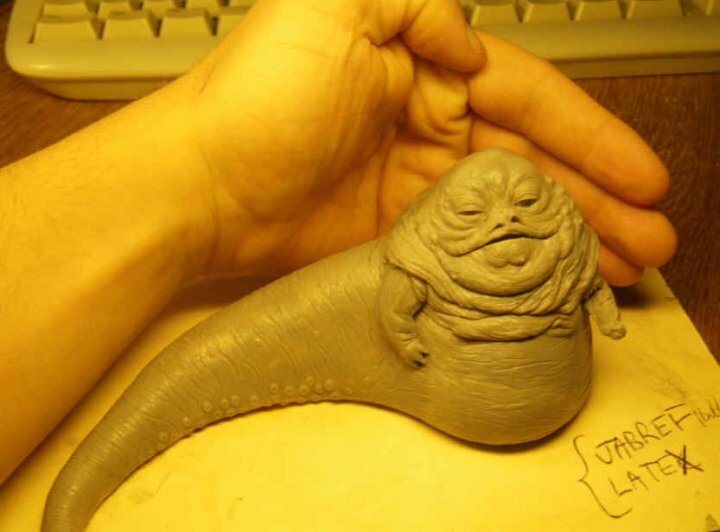 News: New Jabba Statue on the Horizon? 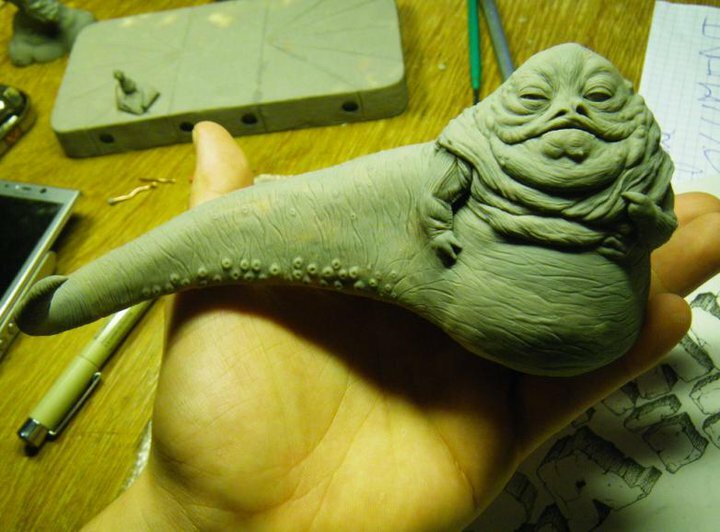 A recent post on the Jabba the Hutt Facebook page about a chocolate Jabba got my curiosity piqued, since I could tell that it wasn’t based on an existing Jabba sculpture. 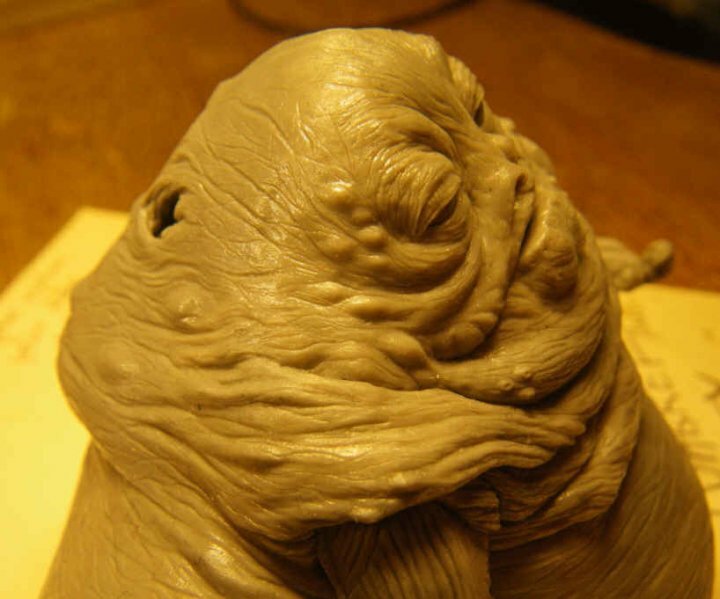 As it turns out, it’s part of a whole Jabba & throne statue that someone is sculpting, as shown on this thread on the Schiflett Brothers Sculpting Forum. 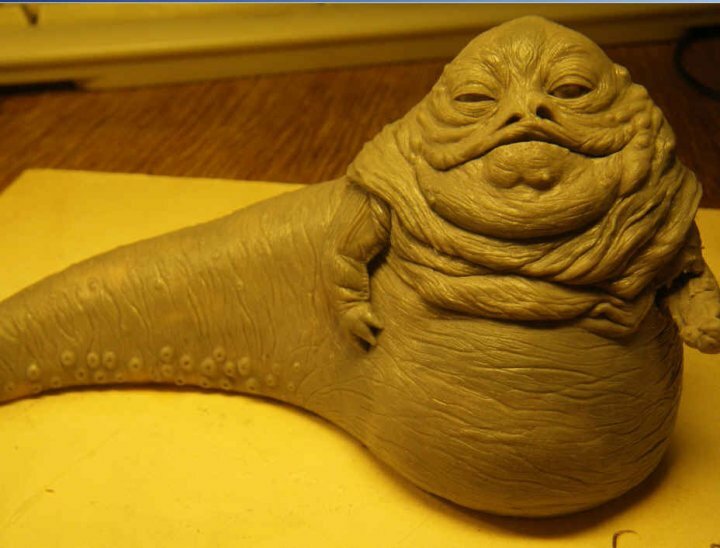 I contacted the sculptor and he confirmed that it was a commission piece for a company that would be sold at some point, but I wasn’t able to get any more info from him. Since he appears to be French, the first thing I thought of was that it might be for Attakus, although it doesn’t quite fit in with their current product lines in terms of its scale. In any case, it looks great and I’m very interested to know more. More pictures below. 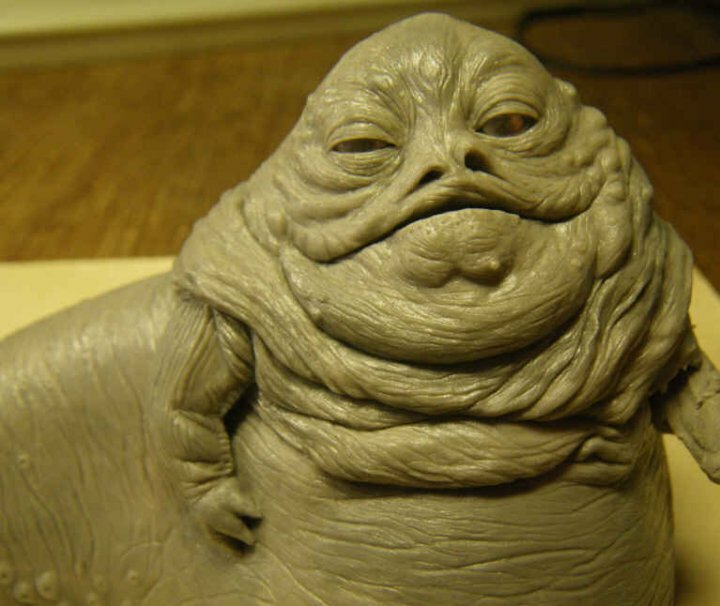 Click for the full sized versions.